ASK AN EDUCATOR! – “How about doing a tutorial on the different types of solder?” « Adafruit Industries – Makers, hackers, artists, designers and engineers! How about doing a tutorial on the different types of solder, e.g. flux types, material types, and on different soldering techniques. Thank you for the question. This certainly is a hot topic! (no pun intended) The following post is a quick overview of solder types and how they are used. For more information about soldering techniques and equipment, check out the extensive section on soldering in the Adafruit Learning System. Solder is made from different metal alloys that determine how the solder melts and how it is handled. In general, solder with a lower melting point is easier to work with. This is especially important when you are just learning to solder as it is common to unintentionally overheat and damage components. There are two main types of solder used for soldering electronics: solder wire and solder paste. Solder wire consists of a thin metal alloy that is used to connect components when hand soldering and may or may-not contain circuit cleaning flux. The wire comes on spools and is sold by weight, diameter, alloy and flux type. The diameter of solder wire dictates how much solder is deposited as the solder is used. In general, thin wire works best for small components and irons with small tips. 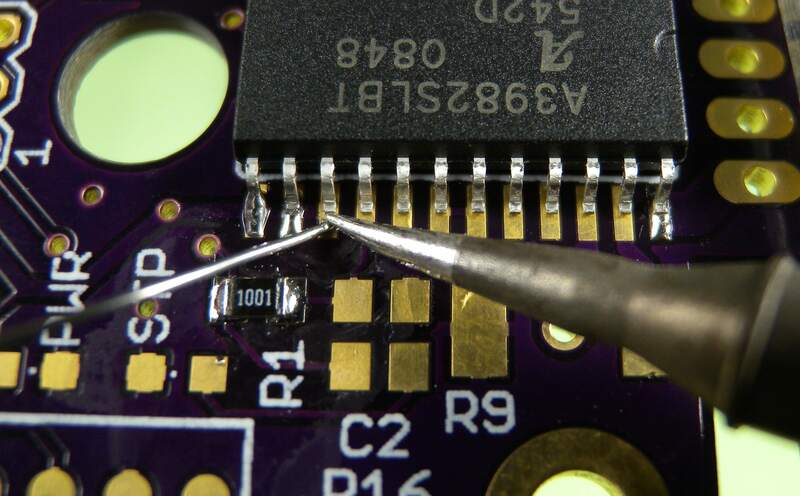 Thick solder works best when soldering larger components and when used with beefier soldering iron tips. The following table illustrates my preference for wire diameters and their application. I like to keep a different diameters of the same alloy on my soldering station so I can quickly handle most soldering tasks. Regardless of the solder type, a properly soldered joint requires flux. For convenience , most solder wire is flux cored, which means the solder wire contains a core of flux paste. This flux is automatically dispensed into the solder joint when the solder is heated, removing oxidation and promoting good joint formation. Alternatively, solder wire can be purchased without flux, or solid. This solder requires external application of flux and is handy when you use different flux types (like homemade) or have specific environmental constraints. Solder paste is most commonly used for reflow soldering and consists of fine solder particles suspended in a flux solution. 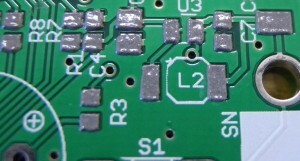 When used for soldering surface mount components, solder paste is deposited onto the circuit board’s bare pads using a stencil and the components are set in place. The board then goes into a computer controlled oven, where the temperature is gradually increased until the solder melts, mounting the components. Most solder paste contains no-clean flux and volatile compounds that make it a bit harder to work with. Because of this, solder paste must be chilled and used before it expires. Gradually over time the small particles of solder and flux begin to separate and is a good indication that its usability is coming to an end. I hope this has helped answer your question and have fun soldering! “Ask an Educator” questions are answered by Adam Kemp, a high school teacher who has been teaching courses in Energy Systems, Systems Engineering, Robotics and Prototyping since 2005. Check out his latest book, The Makerspace Workbench, from Make!